Dr. Gary Block received his DVM in 1991 at the New York State College of Veterinary Medicine at Cornell University. He then completed an internship at the Angell Memorial Animal Hospital in Boston and obtained his residency training in internal medicine at Purdue University. He became board certified in small animal internal medicine in 1994. In 1997, he obtained a Masters degree in Animals and Public Policy, focusing his thesis on the teaching of veterinary ethics. 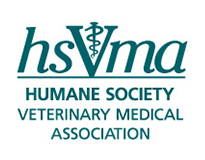 Dr. Block is past-president of the Rhode Island Veterinary Medical Association (RIVMA) and the Society for Veterinary Medical Ethics, and was named the 2011 RIVMA Veterinarian of the Year. He is co-owner of Ocean State Veterinary Specialists—a 40-doctor referral and emergency clinic in East Greenwich, R.I.